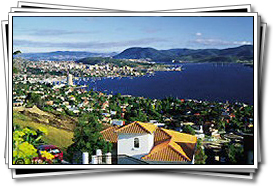 Hobart is the capital of Tasmania, Australia's "detached" state to the south of Australia's mainland. Settled in 1804, primarily by convicts, Hobart is Australia's second oldest city and today has a population of approximately 190,000. An intriguing blend of heritage, lifestyle, scenery and culture greets the visitor to Hobart. Home of Australia's first casino, Wrest Point Casino, Hobart also offers cultural and educational attractions such as the Antarctic Adventure, Theatre Royale, art galleries and studios, and historical landmarks such as Battery Point. Hobart's sandstone cottages and warehouses echo Georgian days and its criminal courts and penitentiary, complete with execution yard, tell of the country's harsh beginnings. With its collection of fine restaurants, bustling markets, festivals and entertainment Hobart has something for everyone. And if that's not enough, visitors are invited to take a harbour cruise or drive to the summit of Mt Nelson or Mt Wellington. 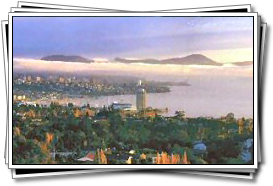 Hobart is an ideal base for visiting southern Tasmania. 25km from Hobart is the historic town of Richmond where convicts languished in the narrow cells of the old Richmond Gaol. Not far away are the neat vineyards and wineries of the Coal River Valley, home of superb cool-climate wines. Tasmania enjoys a pleasant temperate climate with four distinct seasons. Rainfall is even throughout the year. Autumn is mild and winter is often cold, wet and cloudy with snow on higher ground. 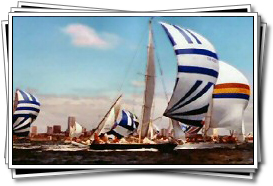 Spring arrives around September and although mild, can often be very windy. During the summer when daytime temperatures are in the early 20's (°C) and it is warm enough to enjoy the outdoor lifestyle.